It’s not a bird, a plane… or superman – it’s a drone, also known as a Remotely Piloted Aircraft (RPA) or Unmanned Aerial Vehicle (UAV), and the government body responsible for regulating the technology’s use, the Civil Aviation Safety Authority (CASA), is currently reviewing the rules. In the past the technology has been mostly associated with military use, but as it became publicly available, Australians – particularly photographers – have embraced drones and the remarkable applications that come with flying an unmanned aircraft. For instance, drones can capture angles from the sky which have been previously out of reach, and are a far cheaper alternative for aerial photography than, say, a helicopter – fundamentally opening up new artistic possibilities at a manageable price. ‘Photography is by far the largest application space for unmanned aircraft in Australia at the moment,’ Reece Clothier, RMIT drone expert and deputy director at Sir Lawrence Wackett Aerospace Research Centre, told Pro Counter. To fly a drone for commercial purposes requires a ‘UAS operator certificate’ from CASA. Over 90 businesses in Australia are listed as ‘UAS operator certificate holders’, and only six do not list their operations as ‘aerial photography’. The basic rules outlined by CASA are that commercial drones can only be flown over ‘unpopulated areas’ and no higher than 400ft above ground level’, unless receiving special approval from CASA. They can also be piloted for ‘sport and recreation’, which doesn’t require CASA approval given there is no camera attached and the pilot adheres to the rules just mentioned. CASA is currently considering new regulations for commercial pilots according to Dr Clothier, who was invited to assist in reviewing the regulation. It’s proposed that drones with a low weight limit won’t be subject to CASA oversight provided the current rules are followed. Australia is one of the more progressive countries in relation to drone regulation. Many others are still fumbling to figure out an appropriate position on the matter. In the US, piloting a drone was ‘illegal’ until March this year, following some bizarre legal findings. It began when the Federal Aviation Authority (FAA) fined photographer and drone hobbyist, Raphael Pirker, US$10,000 for filming a promotional video via drone at the University of Virginia. He then appealed and won, under the grounds that the FAA never actually created an enforceable rule – rendering commercial drone use legal by default. 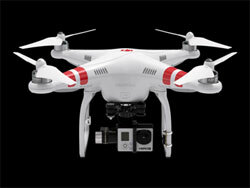 The FAA has since appealed the appeal. The US National Park Service took the issue into its own hands last week by banning all use of drones in the photogenic Yosemite National Park. The reasoning was that drones negatively affect: the natural sound-scape; the flora and fauna (such as nesting peregrine falcons); other visitors experience of the park; and can interrupt rescue operations. But Australia is not without issues when it comes to drone use. In the space of three days at the beginning of April, two articles surfaced regarding irresponsible drone pilots. 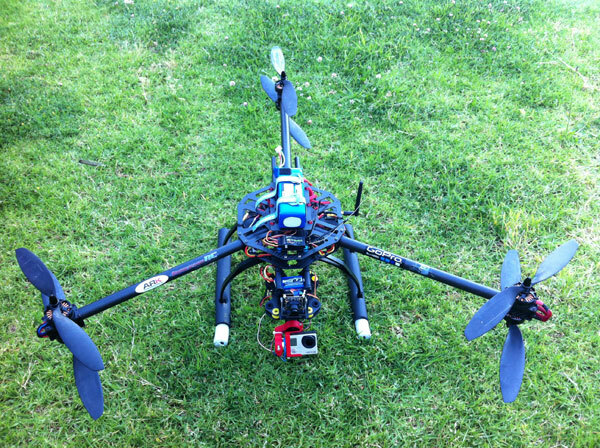 The Sydney Morning Herald reported that an unmanned aerial imagery company, New Era Ag Tech, was filming a triathlon in Geraldton, Western Australia. While details about the incident are unclear, what is certain is that the drone fell from the sky and struck triathlon contestant Raija Ogden on the head. A few days earlier, a rescue helicopter, which was returning to base from the John Hunter Hospital in Newcastle, New South Wales, had a near miss with a drone. It is alleged the drone was 1000ft above ground level and it’s likely the offending pilot was a ‘rogue amateur’. Photographers clearly aren’t the standalone culprits for drone-related accidents, but given the technology’s popularity, taking the time to learn the ins and outs of unmanned aircraft piloting could reduce the associated risks and prevent aggressive regulation in the future. CASA has been vocal in communicating the responsibilities and dangers with piloting unmanned aircraft. 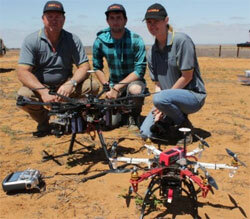 To read more about drones (which CASA refers to as RPA’s) click here. This entry was posted in Research, Top story and tagged CASA, drone, RPA, UAS, uav by Keith Shipton. Bookmark the permalink.